Magnetic 2019 Ford F-150 XL Commercial 4WD 10-Speed EcoBoost 2.7L V6 GTDi DOHC 24V Twin Turbocharged LIFT KIT, POWDER COATED WHEELS, BED LINER, WHEEL WELL LINER, MUD TIRES, Supercrew 4WD 145, EcoBoost 2.7L V6 GTDi DOHC 24V Twin Turbocharged, 4WD, Magnetic, ABS brakes, BoxLink, Compass, Electronic Stability Control, Low tire pressure warning, Traction control. Price includes: $750 - Special Package Retail Customer Cash. Exp. 04/30/2019, $2,000 - Special Package Retail Customer Cash. Exp. 04/30/2019, $500 - Retail Bonus Customer Cash. Exp. 07/01/2019, $1,000 - Retail Customer Cash. Exp. 07/01/2019, $750 - Bonus Customer Cash. Exp. 07/01/2019, $750 - Ford Credit Retail Bonus Customer Cash. Exp. 07/01/2019 Price includes $4,840 in dealer added accessories. 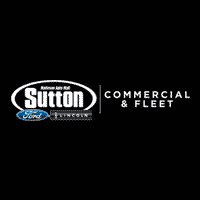 Black 2018 Ford F-150 XL Commercial 4WD 10-Speed Automatic EcoBoost 3.5L V6 GTDi DOHC 24V Twin Turbocharged F-150 XL Commercial, Supercrew 145, EcoBoost 3.5L V6 GTDi DOHC 24V Twin Turbocharged, 4WD, Black, Alloy wheels, GVWR: 7,000 lbs Payload Package, SYNC, Traction control.